By the time you are done reading this entire description, you may realize the power of this one secret…when you click “More” below you will find out exactly what it is. Answer this…How much time has your erectile dysfunction consumed? What would your life be like 5, 10, 15 years from now if you keep doing what you are doing? Now, let’s turn the tables…Why do you want to make a change? That’s why you are here reading this entire description to begin with isn’t it? Think about this for a second…How many times does anxiety cause more problems in the bedroom than anything physical? Now imagine all the thoughts at the subconscious level wreaking havoc that you don’t even know about. But the good news is you can make a permanent change quickly and easily. And that’s where we can help you. The great news is you don’t need to spend hours in therapy to figure out “why” if you just change the connections in your brain at the subconscious level. By sending daily messages to your subconscious using our app, you can quickly and effortlessly eliminate limiting beliefs that can be causing your erectile dysfunction, which will allow you to fix the problem permanently. So, I’m sure you are wondering how much it’s going to cost you to eliminate your erectile dysfunction forever? For a good therapist it will cost you $150 per session, but we don’t want you to spend anywhere near $150… You will pay our app only ONCE and you will have it forever; that’s much more convenient and much less expensive than any therapist. For a limited time you will get our app for less than some of the best subliminal DVD’s on the market. You can make permanent change quickly and easily right on your phone! 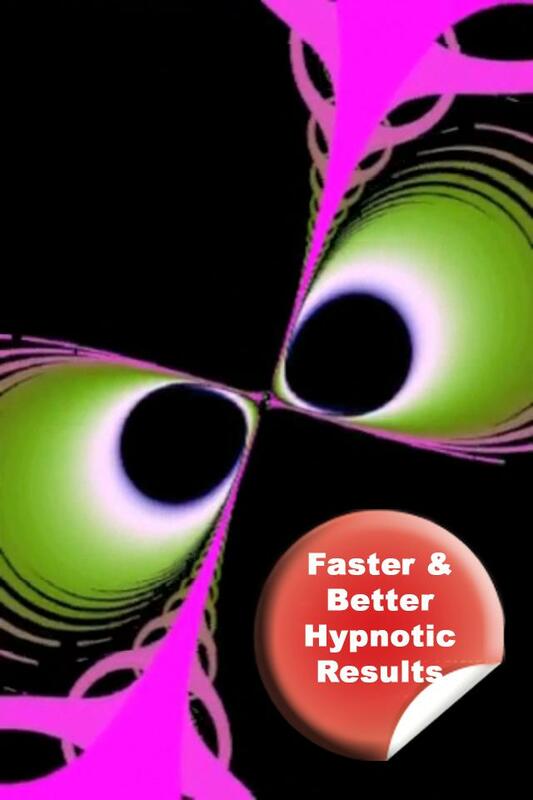 Faster and Deeper Hypnotic Results-The new version incorporates the latest video technology using a new generation of fractals for a subliminal journey like you’ve never experienced before. This will get you into the hypnotic state necessary for the subliminal message to "imprint" the new goal you choose. It’s also easier and more pleasant on your eyes. Original Music-We have updated the same successful original musical scores composed exclusively for the McMurphy App and loved by our users. It’s very hypnotic (and necessary) to enter a state of trance with binaural sounds to synchronize both hemisphere of your brain. Improved Design and User Interface : We have found a way to give you even more features but still keep it very simple and user friendly. Save Space and Gain Convenience- We have included a new control panel that can gather several themes in a single app which saves a lot of space on the iPhone/iPad as the video takes up to 100 MB of space. You can also now purchase any new themes directly in the control panel and manage them easily. More Help- We have included a better help screen with advice and a description screen (' i ' button). Use Counter- This is a great new feature that shows you how often you have been viewing the video. To change a habit, you need a minimum of 70 days of use (psychology fact) to expect a sustainable result. We’ve included a use counter so you can make sure you are making progress toward permanent change! Bug Fix- As always we strive to fix any bugs from previous versions. One such fix in this version is a lag problem that happens sometimes with subliminal messages on certain devices. Better quality of images and manage RETINA display on iPhone 4 and 4S.